Aditi Udayabhaskar examines the ups and downs of life as a Third Culture Kid. Home. The word invokes feelings of warmth, happiness and a familiarity to a certain place or person in the world. It’s somewhere you instinctively know will make everything alright in the end. Imagine turning that entire idea on its head – what do you have? A sense of the unknown, exposure to thoroughly foreign places and a weird surge of excitement, as if a Pandora’s box is waiting to be opened. Life as a third-culture kid can seem like that; forever learning that you belong everywhere, yet nowhere. 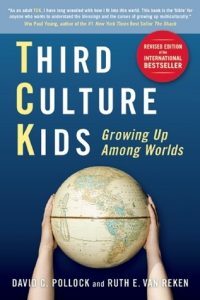 Put simply, third-culture kids (TCKs) are children who grew up in a country not natively their own, or in a culture vastly dissimilar to the one their parents were born into. Suddenly thrown into a new environment, these children learn – and fast – how to adapt to continually changing surroundings. 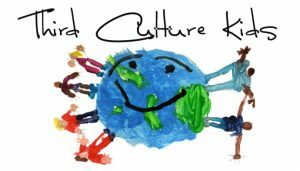 Anyone from a farmer’s son to a multinational executive’s daughter could be a third-culture kid – it simply implies having lived in circumstances quite atypical for their heritage. So why is being a TCK such a big deal? Well, for starters, it means they have no real concept of ‘home’ – as a TCK myself, I’ve been moving from place to place since I was three months old, and I find that a little piece of everywhere has stuck onto me forever. Now, not moving every two-three years is worrying – is this normal, you wonder to yourself. Of course, there can be upsides to this sort of lifestyle; you’re exploring new countries or cities every other year, you probably can speak two languages fluently by the time you are ten, and you have a thick booklet of well-worn passports to call your own. It also helps that you are extremely adaptive, willing to experience something new and well aware that change is indeed the only constant in life! I have English friends who have never lived in the UK yet hold a British passport, I’ve met the children of diplomats who know people in really high places, in addition to the kids of purely adventurous travellers that chose to give their children a life less ordinary. In the process, I learned much about myself, but more significantly, about life and what the ‘big picture’ really is. One thing TCKs face very often is the question, where are you from? It’s extremely difficult to be able to reply honestly, without it sounding like a humble-brag. As a result, the answer is usually a cut-off, shortened version that may not exactly be the truth – simply because, we want to keep it short and avoid a boastful response. Despite this, TCKs are often misunderstood – this is understandable, because to the many who haven’t moved around frequently our unusual lifestyle may be typecast as privilege – which is not completely true. 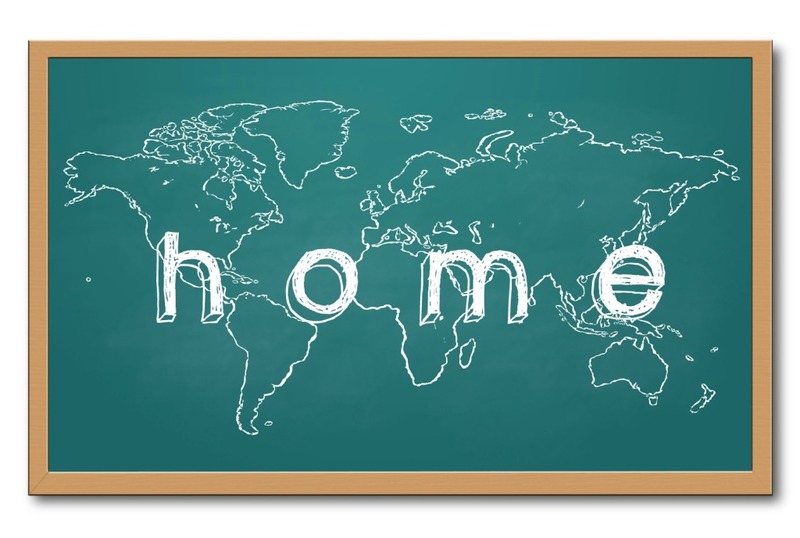 The dangers of belonging everywhere yet nowhere are significant, and often take away from the benefits of being a TCK. So, what could possibly go wrong? Well, for instance, there’s the problem of wondering if you can ever actually live close to your family as you age. Sure, we all look forward to moving out and living independently, but when you think you would like something close to home as a TCK you find yourself in a fix. Most likely you aren’t a citizen of the country your parents live in – which presents a major obstacle. Applying for visas is the norm, and you can never be confident enough when you’re dealing with embassies. I’ve seen families torn apart, with the parents living in one part of the world, struggling to find a way to be able to see or live closer to the children they love so dearly. The trauma and difficulty that separation presents cannot be defined in words – and is a heavy price TCKs pay for their privilege. There’s also the hindrance of working at companies that don’t sponsor visas. Imagine living a good portion of your life in a country, only to be asked to leave because you no longer have the right to work there. TCKs often live and study as dependants under their parents’ visa, but once you come of age, you’re left to fend for yourself. Battling it out on your own can be daunting, and while non-TCKs can feel that being a third-culture kid gives you limitless opportunities to explore the world whenever and however you want, the truth is a harsh reality of borders and citizenship. For TCKs, this can be an especially bitter pill to swallow – to suddenly realise that the world isn’t their oyster can go against everything they were brought up to believe, and is deeply life-changing for the many TCKs I’ve met so far. It can be really weird for me to read lists on BuzzFeed or other websites that say, 21 Signs You Went to School in the UK, simply because I super-relate to one half of it, whilst the other half is totally alien to me. How is this possible? It may be because I moved when I was halfway through primary school and the parts that I did remember and enjoy, I could relate to. I remember that embarrassing time when I told my friend I liked his pants, only to see a look of horror on his face – what have I done wrong, I thought to myself. It was only later that I realised ‘pants’ meant underwear in the UK, not trousers like I was brought up to learn in America! On a more serious note, however, being a TCK quite literally means living out of a suitcase. All of my possessions fit into a large roller-suitcase: that’s it. You learn to cut out the material, and hold on to the practical, sensible and portable necessities of life. Would you like me to move to Germany tomorrow? Done! I can do it. It sounds insane, but it’s part and parcel of constantly being on the move, and airports and transatlantic flights can seem more familiar than a comfy bed back home. Of course, one must recognise that this lifestyle isn’t for everybody – learning new languages and accepting out-of-the-ordinary situations is not everyone’s cup of tea. You might be surprised to find that TCKs are bizarrely envious of those who haven’t lived our life, simply because we crave that normalcy, predictability and sense of familiarity in our lives too. We wonder how it would feel to have all our friends live within a ten-mile radius, instead of having to clog your smartphone-display with world clocks to coordinate chats with friends on another continent. We wish we could pop home to wish our parents a happy birthday or be able to attend alumni events like our peers do, but accept that this is a compromise we make to be able to sustain our forever nomadic lives. Third-culture kids live a life of extremes – much excitement, and substantial hardship. Yes, we recognise we have had access to a plethora of unique experiences and are grateful for it, but we also accept that our exposure comes at a cost. Whilst we wouldn’t change any of it even for a million euro, it does make one consider what life really is – full of ups and full of downs, but if you always knew what was going to happen tomorrow, would it be any fun?